We have been working on a special book just in time for Thanksgiving! It's entitled We are Tree-Mendously Thankful! The book will be making it's way home but for friends far and near, you can view it here! I love the children's sweet little voices as they read. Enjoy! We accomplished a great feat last week....drum roll please....the kids now know the entire Alphabet Chant!!! They are so excited! I am so excited! And, you will be so excited to see it! Mrs. Blaustein visited us last week and videotaped it for us. Your child is bringing home some magic sound sprinkles today. He/she will be casting the spell on YOU and then performing the chant! Please join in on the fun! Today is our 50th day of school! 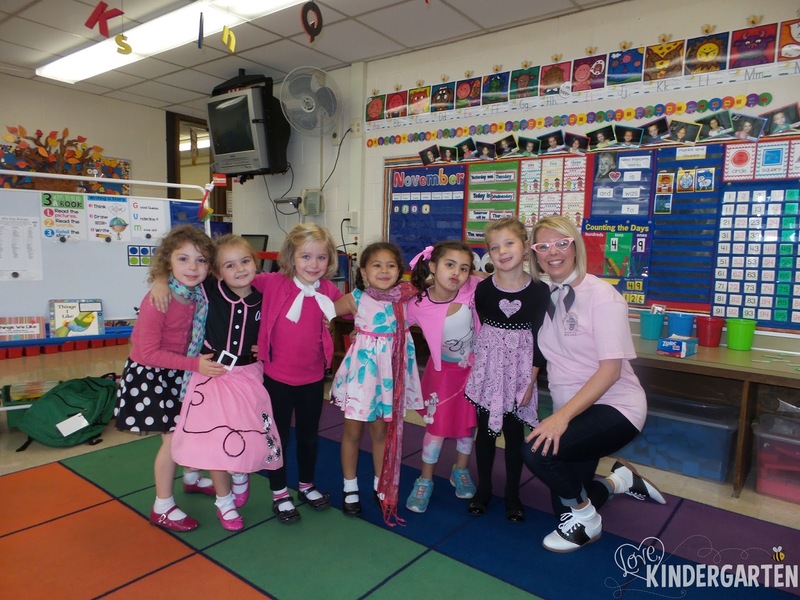 We had so much fun dressing up like we were straight off the set of The Happy Days! We worked with our first grade friends all morning on some math concepts all with the number 50 in mind, then went to the sock hop, then to the drive-in and finally to the diner for a special lunch. Click on the Photos tab to see more pictures from our day! 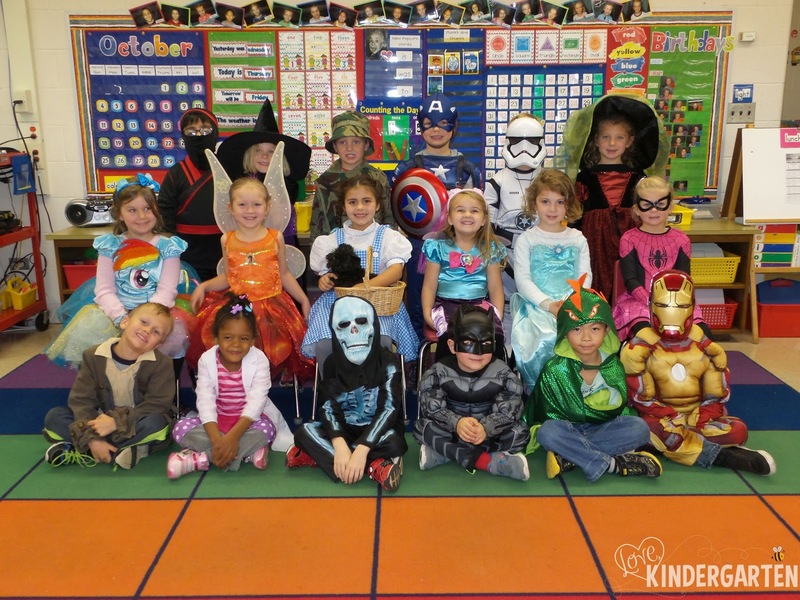 We had such a great time last Friday dressing up at school. Our party was awesome and a special thanks goes out to the parents who helped plan it. Click on the Photos tab to take a peek at more of the pictures from our fun day.